This is it. With the creation of this Pinterest board under the username “DelawareJoe,” Biden has all but announced his intention to become the Democratic nominee for President in 2020. Rumors of Biden’s potential presidential run began swirling almost as soon as the Trump presidency began, but his recent posts to Pinterest, including several suit-and-tie combos that he pinned with the caption “acceptance speech vibes,” are pretty much concrete proof that he plans to campaign for the country’s highest office. In the past 24 hours alone, Biden has populated his “Presidential Style Ideas” board with pictures of desks captioned “Oval Office lighting,” a pair of designer loafers captioned “State Of The Union shoe,” and a white noise machine he had captioned, “For relaxing after declaring war/stressful tax decisions.” Political analysts in D.C. agree that such posts indicate that Biden has clear presidential ambitions. Though aides close to Biden continue to insist that the Pinterest board is “exploratory” in nature and “merely meant to represent Joe’s style goals,” this excuse fails to explain the dozens of travel blogs Biden has repinned that offer tips about the cutest bed and breakfasts to stay at when visiting Wisconsin, Michigan, and the other rust belt states that the Clinton campaign neglected in 2016. It seems pretty obvious from anyone reading his Pinterest board that Biden is daydreaming about the most stylish way to travel on the campaign trail. If it wasn’t already decided, this Pinterest board gave it away: Joe Biden is totally throwing his hat in the ring in 2020. 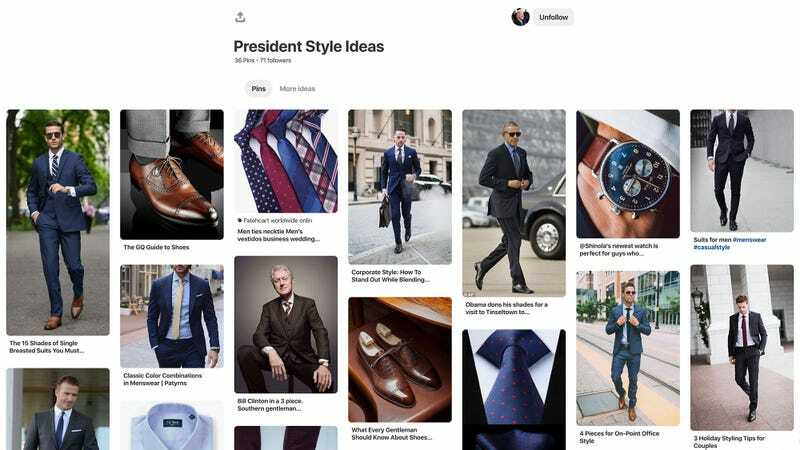 At this point, it’s only a matter of days before Biden makes a more formal statement, but if you want to keep up on where his campaign is at, be sure to log onto Pinterest and follow his “President Style Ideas” board for more hints about the fashion and decorating choices he’s likely to make if he finds himself in the Oval Office.